It was sudden, the change. Unexpected even by the greatest scientists of the Tempest Spire, statisticians hurriedly attempting to account for the anomaly in their probability calculations: their hypothesis tests never having shown such a phenomenon possible in the time. The Lightning Farm is the third subregion of the Shifting Expanse, and it is one of the least busy, hosting those lairs classed as ‘Venerable’. Split into multiple sectors to host the lairs best to discipline, it was odd when in one small, unoccupied segment of the sector of the business discipline, a puff of smoke appeared. It was unprecedented and instantly the alarms went off as sentries alerted the security division. When the smoke did clear, however, what they saw befuddled the minds of investigators. A mysterious marketplace had appeared in the ruins, and what was more, the dragons running the stalls had never before been recognised in the database of the current residents of the Shifting Expanse. It wasn’t long before the scientists began to explore what the mysterious merchants had to offer: bits of strange machinery, sparking and static-emitting curios, lost relics from forgotten endeavors, alchemists selling their services, techno-mages hawking cursed oddities and trinkets, scientists bartering droids, hooded figures handing out maps of leylines. It was a young intern who had just gotten promoted to bring Stormcatcher his coffee that suggested the novel idea: why not invite the other flights to also enjoy the benefits of the market for this festival? The god agreed, for the legend their archivists had just managed to extract revealed the circumstances behind the Emporium - as their archivists have named it. It appears randomly in the Expanse every millenium for seven days before disappearing without a trace on the seventh day, and the conferences put together by Lightning’s greatest scientists have never managed to discover its origins, the merchants or the goods. An odd entity has popped up in a large, separated tent in the strange marketplace. Multiple merchants are congregated, all strangely familiar yet all offering similar items. Peering closer, you see drawings, scrawls... and what is that in the corner? The green Tundra nudges you. "All for any able-bodied dragons we can get!" The blue Pearlcatcher nudges you, seeing your confusion at the piles of money and items stacked against the wall of the tent in one very large, precariously balanced pile. "All for any able-bodied dragons we can get... well, not really, you pull it out and if it doesn't fall on you, you get it! Otherwise the next dragon in line does." "Hand over the dragons to one of our travellers," They say, indicating several shady looking dragons in a corner. "And make sure you're not from Lightning!" Out of flight raffle; money and prizes for fodder! A red Fae comes up to you. "Lightning flight? 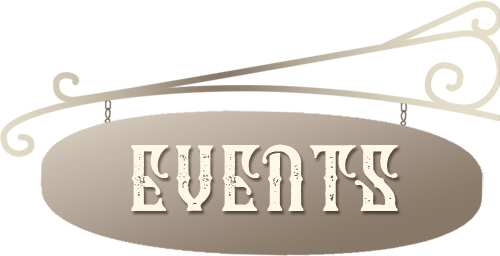 Don't you worry, we've got a nice event all lined up for you here! Send as many able-bodied dragons as you can for some sweet prizes!" The red Fae from before nudges you, seeing your confusion at the piles of money and items stacked against the wall of another tent in one very large, precariously balanced pile. "All for any able-bodied dragons we can get... well, not really, you pull it out and if it doesn't fall on you, you get it! Otherwise the next dragon in line does." "And make sure you're from Lightning!" In flight raffle; money and prizes for fodder! A shrouded alley in the market is home to a particular group of merchants. Their wares may look ordinary, but these merchants have a secret...their love for murder and intrigue with their friends! Join as these merchants play the ultimate party game of deception, death, and deductive skills: Mafia! As part of Thundercrack Carnivale (TCC), it's a Lightning Flight tradition to distribute Sparkbombs to lairs all across Sornieth. We create packs of Lightning-esque materials, food and other items and send them as random surprises during the week of TCC. 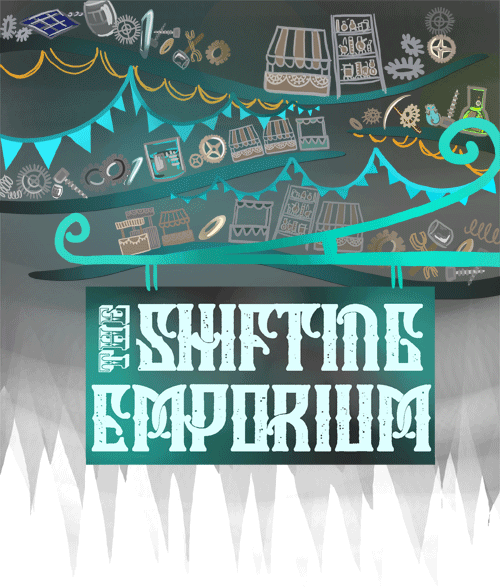 Each day during the week of Thundercrack Carnival, you will have 24 hours to write a brief bio or story about a dragon vendor working in the Shifting Emporium. There are only 15 slots available so be sure to sign up early! Sign-ups will run from July 15 - 21. The event will run from July 22 - 28. An unusual machine sits tucked into a hidden corner of the Shifting Emporium, and its owner keeps making wild claims about literally turning one dragon's trash into another dragon's treasures. Why not test it out yourself? You never know what Mainframe has up his scientific sleeve... and the bump contests don't hurt either! These dragons are going to shapeshift into new forms. Come suggest what those forms should be, and maybe one of them will come home with you! From inside a tent bedecked with stars, a Pearlcatcher beckons, her pearl set on the table, mists swirling inside. Through the mists, dragons fly, storms roil, empires rise and fall. "Care for me to tell your fortune?" she asks. "I could cast bones, or read the visions in my pearl, or... no, you don't want that. You want me to read the cards. Come in." She starts shuffling her deck, cards slipping between nimble claws. "What will the cards reveal to you? True love, fortune, or calamity? I'll tell you... for a price." A big thank you to the other hosts: @ShadowRising and @Firra, for helping out with ideas, passing along correspondence, handling graphics and arts, and much of the like that could not be compressed into words. Thank you to the event hosts: @kirkfan2255 @Tsaiah @Snek @SkyDagger @cypris @Niesse @jaxstronomy @Firra @akitcougar for hosting the events! Thank you for bearing with my pings and I hoped you had fun planning out all those events! Thank you to @Firra for leading the graphics design this time around, @Purveyor for making our main banner into a gif, @seadolph for the main design of our banner, and @Actaeon and @AtticSaltStorms for finalising the main graphics needs for everyone!